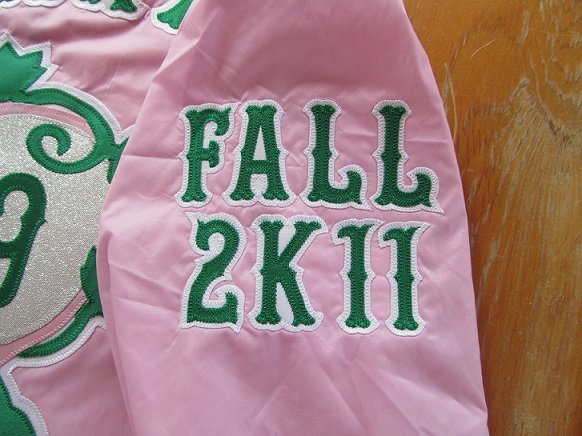 2 inch twill letters and letter backgrounds (outlines) are stitched onto your sleeve with this option. Type the year just as you want to see it - EX. 2K14, '14, 2014, etc. See the "Colors and Lettering Choices" section for font and fabric color choices. *Shown - Antique Block; Kelly Green letters, White letter BACKGROUNDS.